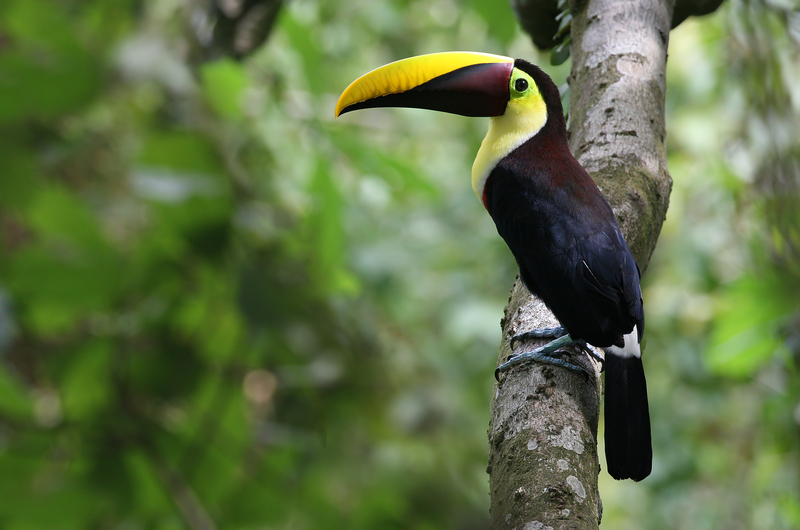 With more than 900 bird species recorded, Costa Rica bird-watching is some of the best on the planet. In fact, the small Central American nation is one of the world’s top five favorite countries for bird-watching. Costa Rica already is known for its remarkable biodiversity, and when we’re talking birds, the country has more species than the U.S. and Canada combined. Costa Rica gets its extraordinary bird wealth from its geographic location in the tropics between North and South America, being a bridge between both hemispheres. In addition, the country’s mountainous topography creates a multitude of microclimates and habitats which attract a variety of birds: rainforests, cloud forest, mangrove swamps, beaches, rivers, lakes, wetlands, and dry tropical forest. For birding in Costa Rica the best time to visit is all year long. From January to March, during dry season on the Pacific side of the country, you can see thousands of migrant birds in wetlands and forests. February is nesting season for Quetzals in the cloud forests. Rainy season, starting in May, brings an abundance of vegetation, which attracts plentiful birds. As the Caribbean region moves into a short dry season between September and October, migrant birds from the north begin appearing and soon spread all over the country. Many birds continue migrating to South America for the winter, while countless others remain in Costa Rica through early spring. Costa Rica is a favorite place for bird-watchers due to its well-established tourist infrastructure and the sheer concentration of bird species per square mile. Costa Rica eco-tours with experienced nature guides, such as Horizontes Nature Tours, are the best way to go bird-watching. 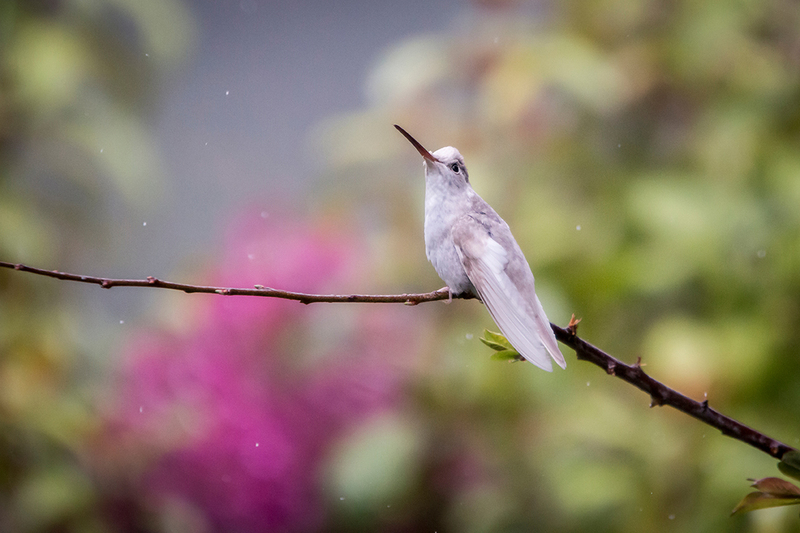 Your success for Costa Rica bird-watching depends greatly on the weather and time of day. The best time of day to go bird-watching is either at dawn or dusk, when birds are actively waking up or finding their roosts for the night. 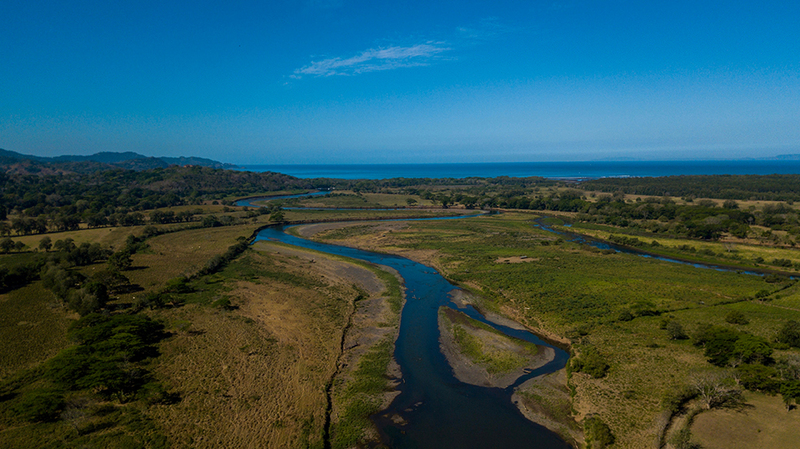 The marshy wetlands of Palo Verde National Park in the Tempisque River delta in Guanacaste are a bird-watchers’ paradise. The best time to visit is between December and March to see migrating and native birds, including egrets, herons, ibis, grebes, roseate spoonbills, ducks, hawks, and endangered species like the Jabiru Stork. The easily-accessible Carara National Park on the Central Pacific Coast is a famous ornithological destination because of its varied birdlife and it is a transition forest between dry topical forest and humid rainforest. It is home to one of the largest populations of endangered wild Scarlet Macaws (Ara Macao) in Costa Rica. They arrive in the park like clockwork every morning, flashing their brilliant crimson, cobalt and yellow colors across the sky, and leave around dusk to roost for the night in neighboring coastal mangroves. Other birds to see here include toucans, aracaris, kingfishers, herons, and parrots, in addition to a great number of poison-dart frogs. Virgin cloud forest high in the Central Mountain Range makes San Gerardo de Dota bird-watching some of the best in the country. 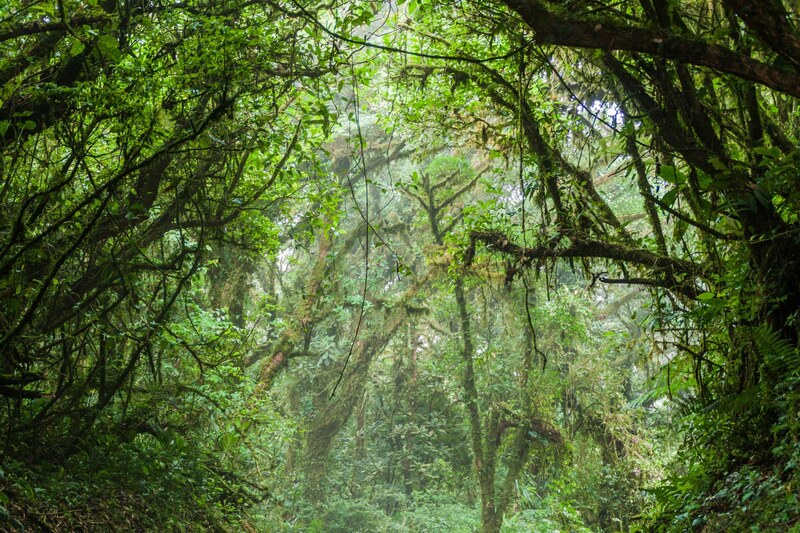 Visitors to this little valley enjoy pure mountain air, lush green forest, tumbling waterfalls, and searching for magnificently-plumed Resplendent Quetzals, trogons, tanagers, hummingbirds, and 200 or so other bird species identified in this misty tropical cloud forest. Up at around 5,000 feet elevation, the vast private cloud forest reserves of Monteverde are home to emerald toucanets, motmots, flame-throated warblers, three-wattled bellbirds, trogons, cotingas, brilliantly hued hummingbirds, and the famous Quetzals – over 400 species of birds in total. Monteverde, Costa Rica bird-watching is an unforgettable experience.